While the sport of golf may not look too dangerous from the sidelines, players know it can sometimes lead to mishaps. There are accidents involving golf carts and clubs, painful muscle and back injuries, and even the threat of lightning strikes on the greens. Yet it wasn’t any of these things that caused professional golfer Danielle Kang’s broken tooth on the opening day of the LPGA Singapore tournament. “I was eating and it broke,” explained Kang. “My dentist told me, I've chipped another one before, and he said, you don't break it at that moment. 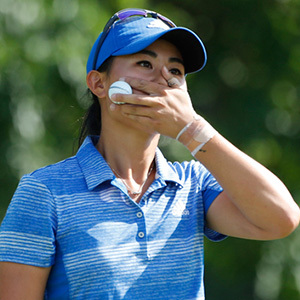 It's been broken and it just chips off.” Fortunately, the winner of the 2017 Women’s PGA championship got immediate dental treatment, and went right back on the course to play a solid round, shooting 68. Kang’s unlucky “chip shot” is far from a rare occurrence. In fact, chipped, fractured and broken teeth are among the most common dental injuries. The cause can be crunching too hard on a piece of ice or hard candy, a sudden accident or a blow to the face, or a tooth that’s weakened by decay or repetitive stress from a habit like nail biting. Feeling a broken tooth in your mouth can cause surprise and worry—but luckily, dentists have many ways of restoring the tooth’s appearance and function. Exactly how a broken tooth is treated depends on how much of its structure is missing, and whether the soft tissue deep inside of it has been compromised. When a fracture exposes the tooth’s soft pulp it can easily become infected, which may lead to serious problems. In this situation, a root canal or extraction will likely be needed. This involves carefully removing the infected pulp tissue and disinfecting and sealing the “canals” (hollow spaces inside the tooth) to prevent further infection. The tooth can then be restored, often with a crown (cap) to replace the entire visible part. A timely root canal procedure can often save a tooth that would otherwise need to be extracted (removed). For less serious chips, dental veneers may be an option. Made of durable and lifelike porcelain, veneers are translucent shells that go over the front surfaces of teeth. They can cover minor to moderate chips and cracks, and even correct size and spacing irregularities and discoloration. Veneers can be custom-made in a dental laboratory from a model of your teeth, and are cemented to teeth for a long-lasting and natural-looking restoration. Minor chips can often be remedied via dental bonding. Here, layers of tooth-colored resin are applied to the surfaces being restored. The resin is shaped to fill in the missing structure and hardened by a special light. While not as long-lasting as other restoration methods, bonding is a relatively simple and inexpensive technique that can often be completed in just one office visit. After months of wearing braces, the big day has arrived — they’re finally off! Your teeth have been realigned and your smile is dazzling. You’re finished with orthodontic treatment, right? Not quite — because if you want to keep your new smile you have one more treatment phase to go — wearing a retainer. Without this phase there’s a distinct possibility you could lose all the time, effort and expense of braces because your teeth could revert to their previous position. To understand why, we have to consider how teeth can move in the first place. Although it may seem like your teeth are rigidly fastened to the jawbone, they’re actually held in place by the periodontal ligament, a strong, elastic gum tissue that lies between the teeth and the bone. Tiny fibers from the ligament attach to the teeth on one side and to the bone in a similar manner on the other side. When pressure is applied to the tooth as happens with braces, the bone around the side of the tooth in the direction of the force will begin to dissolve (resorb), allowing the tooth to move in that direction. 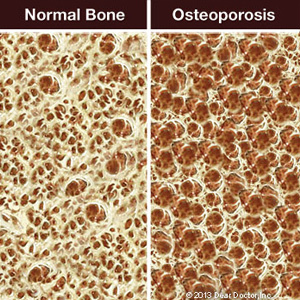 New bone will then build up on the other side to stabilize the tooth. Once the pressure is removed (when we take the braces off), there’s a tendency for the teeth, bone and gums to “remember” the old position and try to revert back. The answer is a removable mouth appliance known as a retainer. Custom-designed to fit the teeth’s new position, the retainer helps hold the teeth in place until the bone completely sets around them. 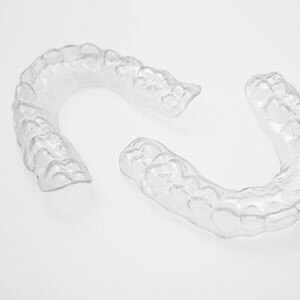 In the beginning, you may need to wear the retainer around the clock and then later only at night while you sleep. While you may only need to wear it for a few months (especially if you’re an adolescent or young adult) some patients may need to wear some form of retainer indefinitely. Your orthodontist will advise you how long depending on your individual situation. While retainers may seem like an inconvenience, they’re extremely important for keeping or “retaining” the teeth in their new and better position. Following through on this important phase of treatment will help ensure you’ll keep your new smile for a long time to come. Discreetly Improve Your Smile with Invisalign! Should I Consider Dentures for My Smile? Can Dental Implants Help My Smile?